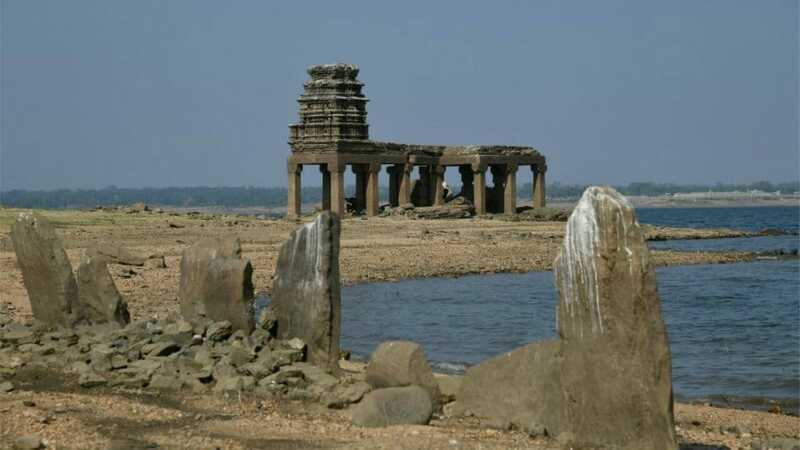 Even as the temperature is soaring, the water level at Krishna Raja Sagar (KRS) reservoir is fast receding and the monumental proof is this picture of Sri Narayanaswamy temple that has resurfaced. 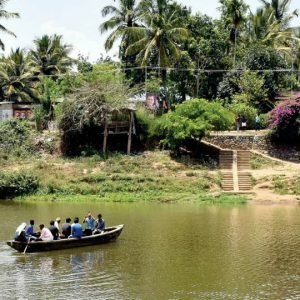 This temple in Ananduru village of Mandya District, located in KRS backwaters, is rarely visible as it gets completely submerged when the water level at the reservoir reaches 100 ft. and above. Today’s water level at KRS stands at 85.93 ft. as against the maximum of 124.80 ft.